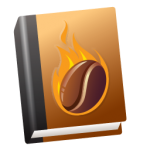 Look here for helpful how-to and instructional articles focusing on some of Roastmaster’s key features. Browse the documentation topics in the sidebar to peruse documentation, or search for any article by a keyword or tag. If you don’t find what you’re looking for here, or need elaboration on a topic–feel free to ask us! Use the RDP protocol to design and build your own inexpensive probe host for Roastmaster. Instructions for attaching and using the Range Probe from Supermechanical. Data Logging users using the Bluetherm Duo may, in some cases, experience discrepancies between the temperature displayed in Roastmaster and the temperature displayed on the Bluetherm Duo. This article describes the cause, symptoms and workaround. If you encounter Error 1002 after performing an iCloud restore, this article explains what is happening and how to get around it. A walk-through of how to create a custom profile from an existing roast. Looking for a visual way to record and display variables that change over the course of a roast? Curves are your answer. Control curves and Reading curves offer a graphical way to record, view, and compare any type of numerical data. Roastmaster makes it easy to share key data types with other users, or a database between iOS devices. Roastmaster’s roasting gauge is a smart, dynamic timing assistant. It learns from your past roasts and shows the estimated progress in clock time, or to a milestone of your choice: 1st crack, 2nd crack or a predetermined, customizable roast degree. Learn about Roastmaster’s new Data Logging option that allows you to wirelessly monitor and record unlimited temperature data via supported hardware.